Despite the sweetness of the confectionery business, a Belgian chocolate brand found itself in a bitter struggle last year. The company had been making its famous pralines since 1923, but suddenly the only thing getting attention was the brand’s name: Isis. That a chocolate-bunny company shared a name with a terrorist organization posting beheading videos on YouTube was, of course, pure coincidence. “Had we known there was a terrorist organization with the same name,” marketing manager Desiree Libeert told Reuters, “we would have never chosen that.” But the brand had chosen the name. And four months ago, it decided there was only one solution for the problem: getting rid of it. It’s not often that a brand has to take a step as drastic as scuttling its name. After all, a brand’s entire identity—its personality, recognition and differentiation—rests with its name. Tom Sepanski, naming and verbal identity director for global branding firm Landor, routinely advises companies to look for ways to avoid changing it. Of course, in the case of Isis—the chocolate, which now goes by the family name Libeert—that’s probably a good thing. It can also be a good thing when a company sheds a clunky or limiting name for something cooler and more future-focused. Nobody faults Larry Page and Serge Brin for scuttling BackRub in favor of Google. Ditto for Apple Computer’s 2007 decision to become just Apple. But because name changes tend to happen when a brand finds itself painted into a corner—when brands merge, encounter legal troubles, or suffer some kind of public relations catastrophe—the results are often mixed. When troubled Andersen Consulting spent some $100 million to change its name to Accenture in 2001, critics charged that the new name was even duller than the original. And remember Qwikster, the hastily launched DVD-by-mail division of Netflix? Actually, you probably don’t. The new brand was so unpopular it barely lasted a month. If nothing else, name changes are instructive for other brands. Below is a roundup of some of the more notable ones, and what happened. Isis Chocolates originally went by Italo Suisse but decided in 2013 to look for a new name—Isis. It turned out to be a bad call. In the summer of 2014, the Islamic State of Iraq and Syria (ISIS) began releasing its now-notorious murder videos, and stores started refusing to stock the chocolate. The brand's new moniker, Libeert, is the surname of the company's owners, and hopefully won't give them trouble. 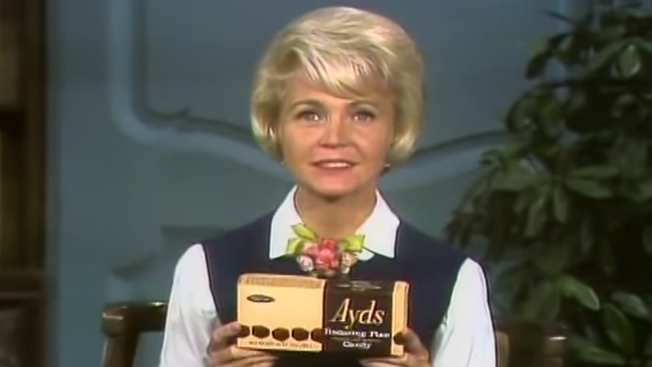 When acquired immune deficiency syndrome (AIDS) emerged in 1981, the makers of Ayds diet candy didn't think the disease constituted enough of a threat for them to change the name of their product. By 1987, with an epidemic raging, they'd changed their minds. "Obviously, with a name like Ayds, we'll have to do some re-marketing," said CEO Robert Berglass. But the new name—Diet Ayds—was nearly as bad as the old one. And—shock of shocks—it didn't work, and the candy disappeared. Last month, office supply brand United Stationers announced it would change its name to Essendant. The original name had served the brand since 1922, but times changed. CEO Cody Phipps described it as "a combination of the iPad effect, cloud storage and the millennials." Translation: People aren't using much paper anymore, and "Stationers" sounds too much like "stationery." Those of us who were adults in the 1990s have fond memories of Nokia, which for a time seemed like it had the future of cell phones in its hands—at least until the dawn of the smartphone. Starting with Nokia's 2011 partnership with Microsoft, the Lumia name began appearing on phones (sometimes with embarassing results) and fans knew Nokia's days were numbered. Microsoft bought the brand outright in April of 2014, and by November the Lumia 535 debuted without the Nokia name. When NBCUniversal decided that its aging Sci Fi Channel sought to broaden its reach in 2009, executives changed the name. Sort of. Phonetically, nothing changed at all, but the network's new tag—Syfy—boasted two critical differences from its predecessor: It was spelled differently and, more importantly, it could be copyrighted. "We couldn't own Sci Fi but we can own Syfy," is how network group chieftan Bonnie Hammer phrased it to Time magazine. Fans mocked the new name, but seem to have grudgingly accepted it. Hot Mama was a popular clothing chain with 48 locations, a promising future, and one big problem: Many customers thought it sold maternity clothes. (As co-founder Megan Tamte put it, "People loved our concept, [but] we also experienced a lot of confusion.") There aren't too many ways to tweak a name like Hot Mama, so last summer the company decided to get rid of it. The new name, Evereve, might not be as easy to say or spell as the old one, but at least the URL was available. In 2010, the YMCA finally figured out how to solve the problem that few Americans knew what those letters stood for: Lose them. The 2,687 U.S. locations of the Young Men's Christian Association had been doing its good works since the organization's founding in London in 1844, but the full name was quite a bit to get out. Hence, the YMCA became just "The Y," complete with a logo revamp by Siegel+Gale. Of course, people have been saying "The Y" for decades anyway, and the last time everyone used all those initials was probably when the Village People sang them. "When a company changes its name, there is often criticism," CEO Louis Camilleri said in 2003. "But I am convinced this is the right thing to do and the right time to do it." And just like that, 156 year-old Philip Morris, the world's largest and most besieged tobacco company, became Altria. Critics slammed the decision, claiming the company was only trying to "distance itself from the Marlboro Man." But Camilleri said it brought "clarity" to the corporation—which at the time owned Kraft foods, makers of Oreo and Ritz Crackers. Last month, Harris Interactive released a poll that included the most hated brands in existence, and only one brand had stayed on the list for five straight years between 2009 and 2013. It was AIG, the company at the center of the great fiscal meltdown of 2008, and the one that we taxpayers bailed out to the tune of $85 billion. The survey results suggest that new name can't mop up a messy past. After all, AIG had officially changed its name to Chartis in 2009. But no matter: In a curious branding 180, the company announced in 2012 that it decided to go back to AIG, along with adopting a new slogan: "Bring on tomorrow." Oh, boy. When a DC-9 belonging to ValuJet crashed into the Florida Everglades in 1996, there was hell to pay. Initially meant to capture the thrill of low-priced travel, the ValuJet name wound up symbolizing how cost-cutting and shoddy maintenance can pull planes out of the sky. In 1997, the carrier changed its name to AirTran, but the new name didn't help save the brand as much as the decision to buy new jets and keep them in good repair. In 2010, Southwest bought AirTran for $1.4 billion, and the company ceased to exist. Times are not good for Malaysia Airlines, which lost two planes in five months last year. (Flight MH370 disappeared in March 2014, and MH17 went down in Ukraine in July.) Shortly after the second accident, the Malaysan government began "assessing the future shape of our business," said the carrier's commercial director Hugh Dunleavy. New CEO Christoph Mueller aims to restore profits by 2017 as part of a $1.7 billion restructuring. Those efforts could well include a name change, an idea that a number of airline industry experts say would make sense. For now, the Malaysia name is still on the planes—though 10 percent fewer of them are flying.